This study uses the Svensson (1994) method to estimate quarterly Government of Jamaica zero-coupon yield curves from March 2014 to December 2016. The Svensson (1994) method of estimation was used to obtain the parsimonious yield curve. The estimated spot rate curve is then incorporated into an interest rates stress testing framework to assess the impact on portfolio holdings of parallel and nonparallel shifts of the yield curve. The results of the stress testing exercise show that exposure to parallel shifts of the curve was higher across the respective market participant groups relative to nonparallel shifts. Additionally, deposit-taking institutions and securities dealers were more vulnerable to shifts in medium-term segment of the yield curve. The life insurance subsector was more vulnerable to the long end of the yield curve while the general insurance subsector exposures were equally weighted across the short to medium term segment of the curve. Keywords: yield curve, key rate duration, financial stability. JEL classification: F31, F32, F41. This article aims to determine if a deterioration in public finances, understood as an increase in public debt, tends to increase inflation. 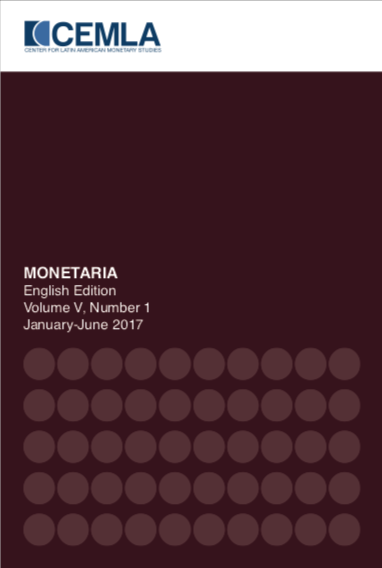 We study the relation between public debt, economic growth, money supply growth and inflation. To do this we follow the methodology proposed by Kwon et al. (2009), who perform a panel data estimation using a sample of net debtor countries. We find that for countries whose public debt is already high, further increases in public debt are inflationary. Keywords: fiscal policy, monetary policy. This study analyzes short, medium and long run inflation expectations anchorage among professional forecasters from the private sector in Mexico before and after the financial crisis of 2008 by introducing a novel classification that catalogs to a large extent the econometric efforts that have been made for its measurement. The three dimensions covered by this classification are sensitivity, resilience and credibility. The results show that for the period evaluated after the 2008 financial crisis and as the horizon for which inflation forecasts are made increases, expectations are better anchored. Keywords: inflation expectations, anchorage, sensitivity, resilience, credibility. JEL classification: C12, C13, E31, D84. This paper employs the generalized method of moments estimation technique to evaluate the impact of macroeconomic factors on bank default risk for listed Jamaican banks and securities dealers over the period December 2004 to June 2016. Default risk is captured by a distance to default measure which is computed using a Merton type, option-based model. This indicator accurately tracks the default experience of listed Jamaican banks and securities dealers over important dates throughout the sample period. The estimation results of the model revealed that gross domestic product growth, inflation, unemployment rate, growth in domestic private sector credit as well as the real effective exchange rate have a statistically significant impact on the performance of the distance to default measure. As such, the econometric findings validate the sensitivity of the fragility measure to the variability of key macroeconomic variables. The model was also utilized to forecast the distance to default measure six-quarters ahead, as this will aid in the formulation of policy to mitigate systemic risks in the financial sector. The forecast results showed less volatility and lower overall default risk for Jamaican banks and securities dealers due to the projected improvement in various macroeconomic indicators. Keywords: default risk, forecasting, macroeconomic factors.